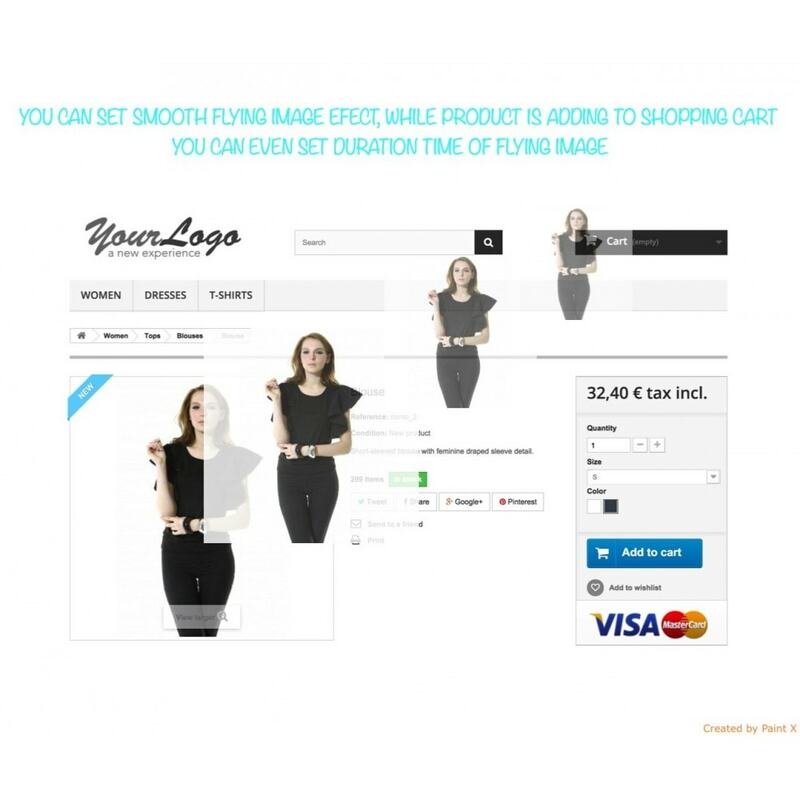 Add products to the shopping cart with smooth flying image effect, while product is adding to shopping cart, like in earlier versions of Prestashop. You can even set duration time of flying image to shopping cart. 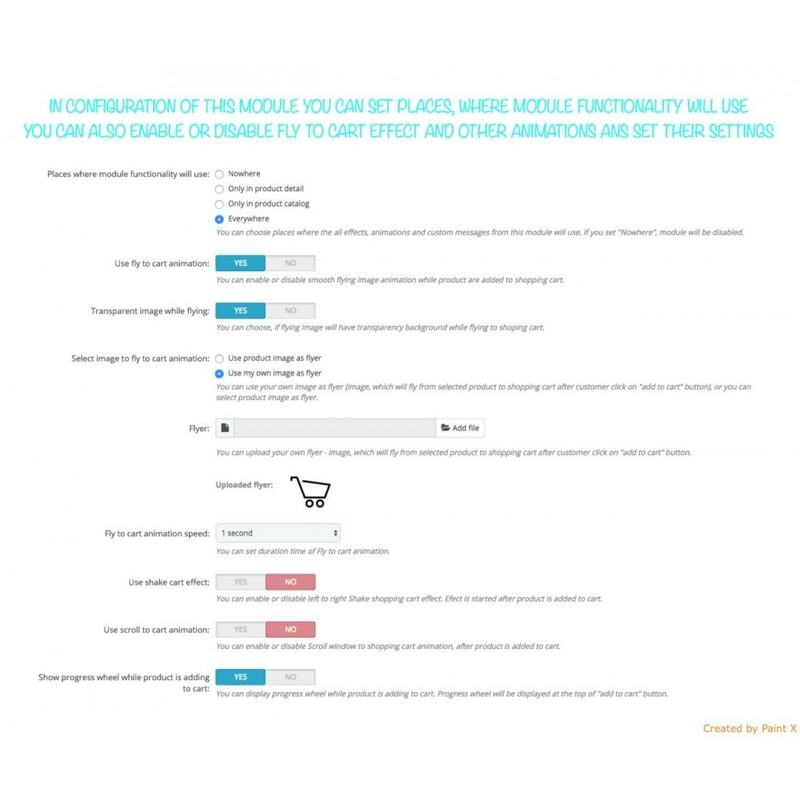 You can also use other animations like shopping cart shake effect after product is added to cart, or scroll window to shopping cart effect after product is added to cart. 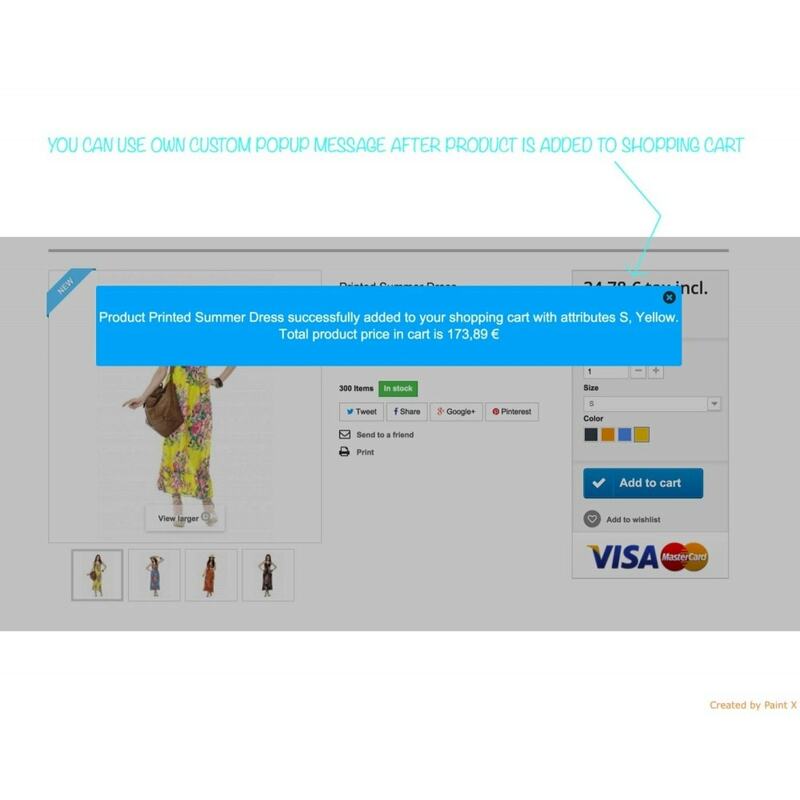 If is default popup window after add to cart not usefull for you, you can disable this function with this module. 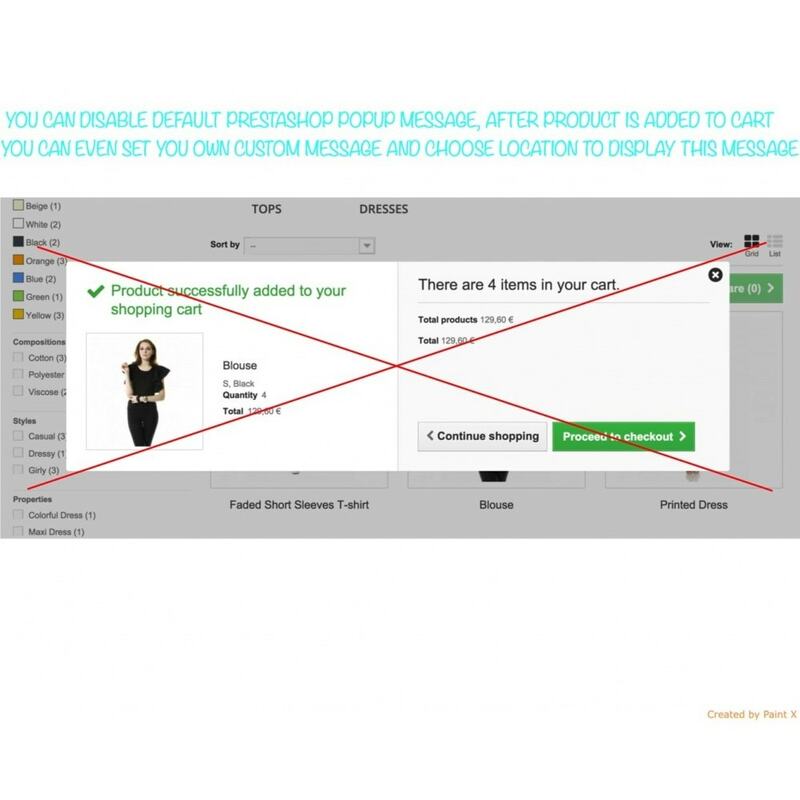 If you want inform customer about added products to cart, you can create your own custom message with any content you want for each language, instead of default prestahop popup window. You can choose from several location types, where your custom message will placed. 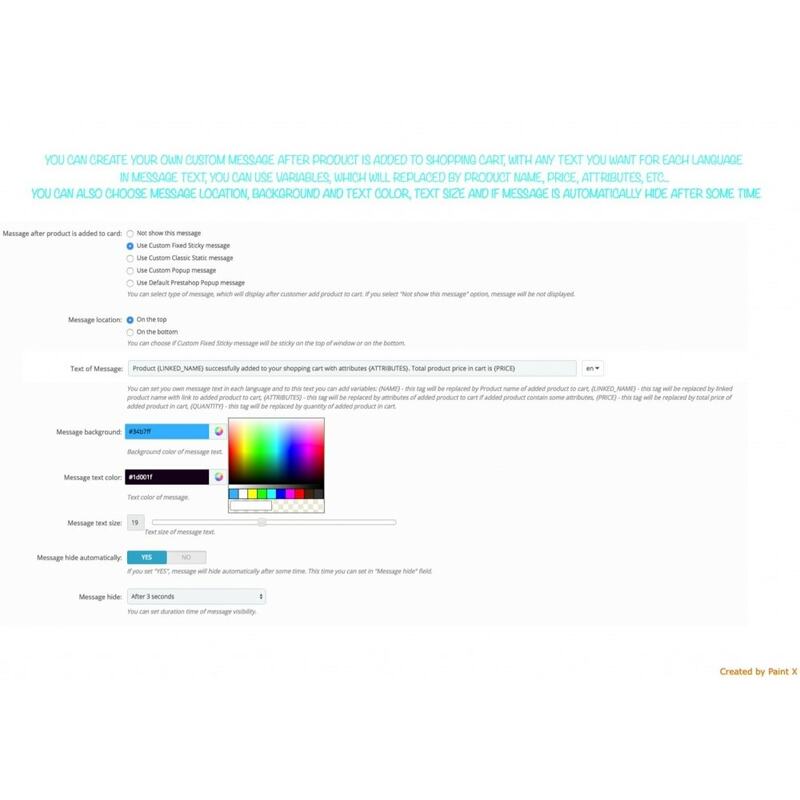 In your custom message, you can even use variables like product name, product price, product quantity or others. Also you can customize message backrgrund, text size or choose, if message will hide automaticaly after some time. 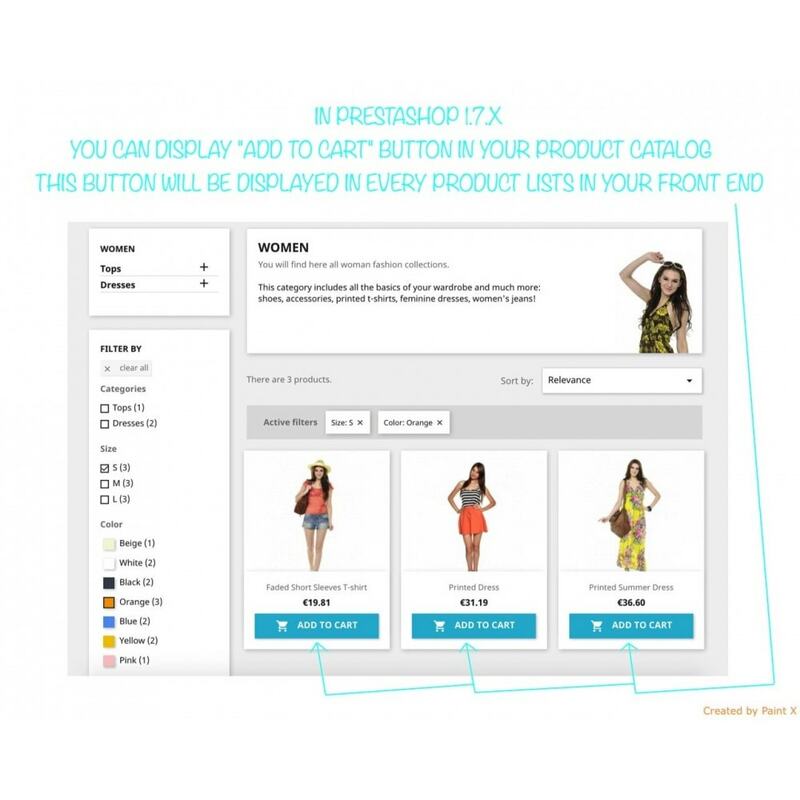 If you are using Prestashop version 1.7.x, you can even choose, if "Add to cart" button will be displayed in product catalog in your front office. 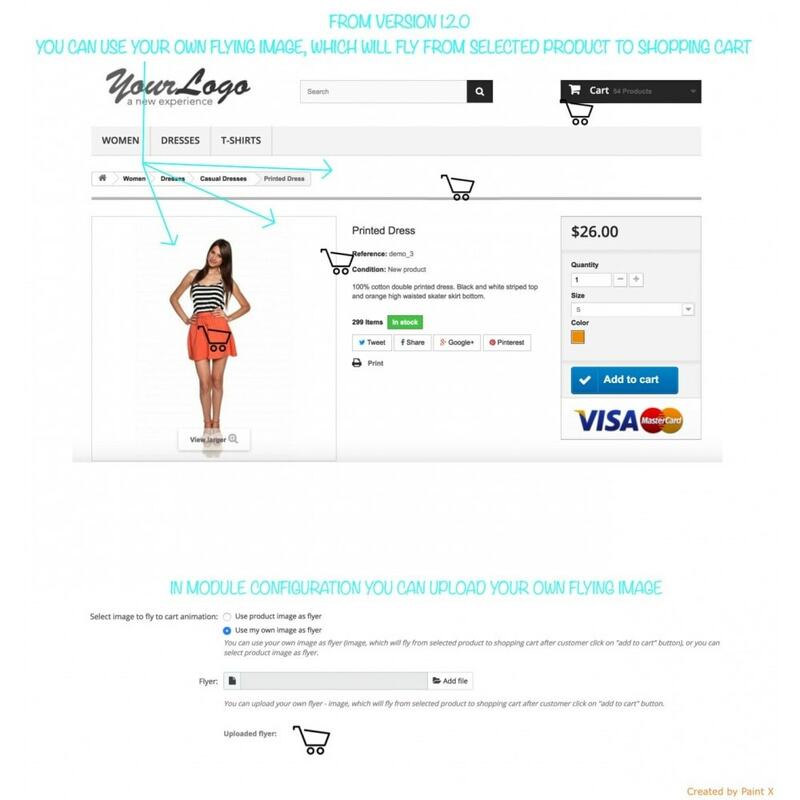 With this button, your customer can add product to cart also from product list. 3. 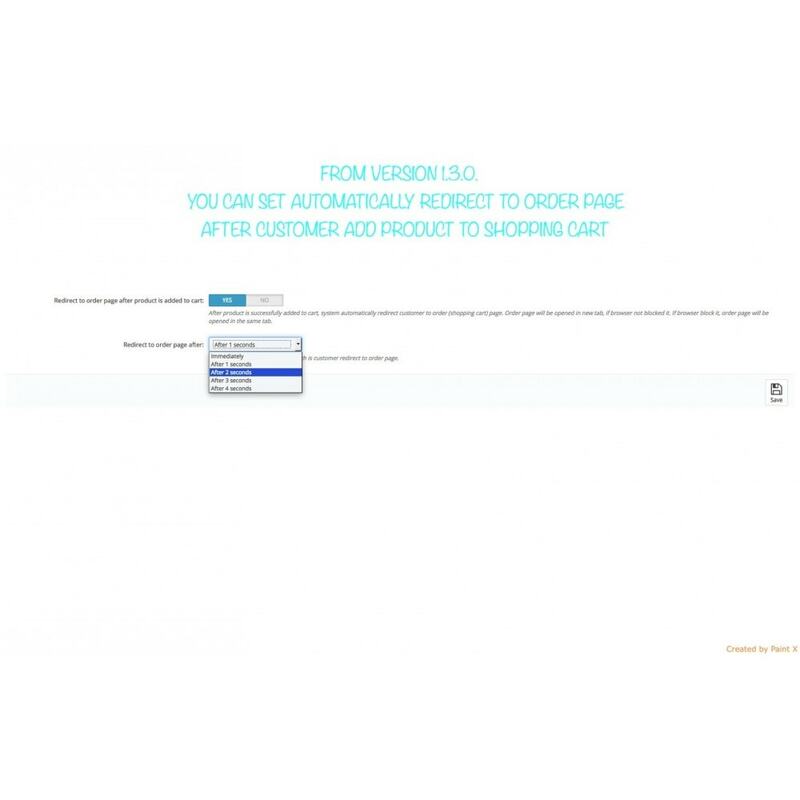 You can display progress wheel in product catalog while product is adding to cart.